Whether it’s the whole thing or one that just simply features lots of bling, a metallic wedding cake feels formal and luxe but also fresh, fun and modern. 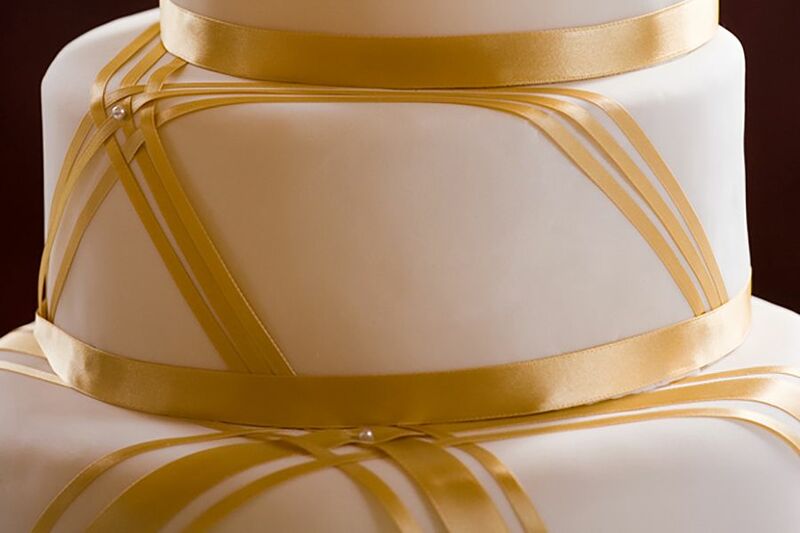 Think solid gold cakes with bold black or soft sorbet-colored accents, ivory cakes with chic silver stripes, or a hip bronze chevron pattern, rich vintage-inspired designs, or ornate, Rococo details and sugar jewels. Because of its smooth, temperature-resistant surface, fondant is the preferred medium for all of these methods (especially delicate hand-painting and metallic leaf), says Kelleher, although she has seen other bakers airbrush on buttercream.